Posted by Andrew Fentiman // May 24, 2013 // Investment, Money & Finance. 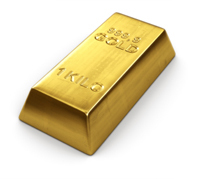 In fact, the writer’s conclusion that gold should be owned “as a diversification play, or even as a short-term investment in a depreciated asset” rather misses the point, proving that the writer only understands the commodity status of gold…. but little more. Buyers of gold have different objectives or combinations thereof. Short and long-term traders are interested solely in the current and projected dollar value of the metal, in order to profit from gold price movement; they have little interest in knowing or understanding the fundamentals of gold and money. Buyers who hold the physical metal comprehend the fundamentals only too well; they want a safe haven without counterparty risk (the risk that the counter or ‘other’ party will be unable to fulfill duties and obligations), and are concerned about dollar debasement in particular, and universal banking and monetary distress in general. Banks thrive on liquidity, and when they no longer have sufficient liquid assets, a run on deposit withdrawals leaves them without liquid assets to sell in order to raise cash to pay off the fleeing depositors. This is what happened in Cyprus. Another scenario has the government printing paper currency to bail out insolvent financial institutions, which eventually leads to a massive devaluation of the nation’s currency. This is what occurred in the U.S. in 2008. But gold is money that is outside of the banking system, because its value does not depend on the promise of a bank or a government and there is therefore no counterparty risk. All of the major currencies – fiat currencies that are backed only by faith and credit – are in a race to debase. When governments keep the printing presses running, whether to bail out financial institutions or spend on unaffordable programs, while at the same time spending more than they take in from taxes, the endgame is the same: financial ruin. Fear consistently drives up the price of gold. Ask yourself, under what conditions do you foresee calm and confidence returning, based on prevailing geo-politico-financial trends? Gold and silver are the only true safe havens: not stocks, bonds, ETFs or paper financial instruments of any kind. Period. Market traders and investors often think of the yellow metal purely as a commodity, forgetting that it is money: de facto because it is an enduring store of real value, and de jure because it is authorized by the U.S. Constitution. please now read Part II…….